Fox News is owned by 21st Century Fox. That is a global video brand comprising FOX, National Geographic, FOX News, FOX Sports, FX, Star India, Hulu, and Sky, owned by the Murdock family, which retains most of the controlling power. On June 2018, 21st Century Fox has accepted Disney acquisition of its assets for $71.3 billion, for the film studio and TV assets. Yet a lawsuit from Fox shareholders has halted the acquisition process. 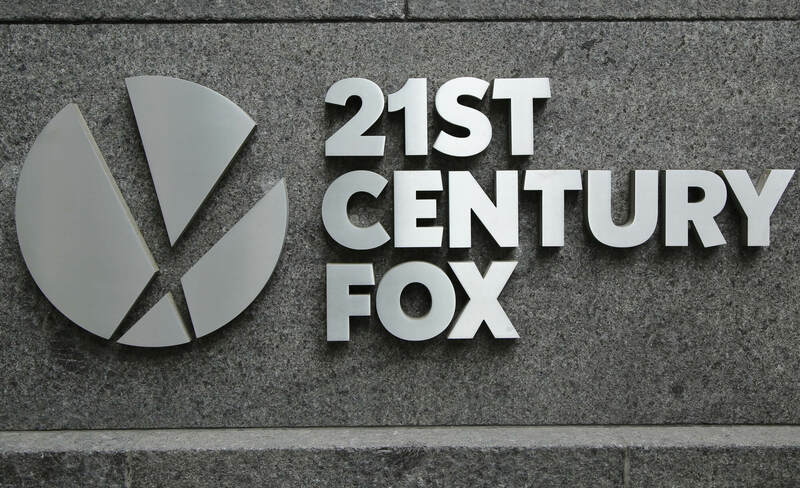 What is 21st Century Fox? Apparently, Fox Television Stations can reach up to 37.3% of US households. MyNetworkTV The programming distribution service, Master Distribution Service, Inc. (branded as MyNetworkTV), distributes two hours per night, Monday through Friday, of off-network programming from Twentieth Television and other third party syndicators to its licensee stations. As of June 30, 2017, MyNetworkTV had license and delivery agreements covering 191 stations, including 10 stations owned and operated by the Company, reaching approximately 98% of U.S. households. (iii) Filmed Entertainment; Motion Picture Production and Distribution One of the world’s largest producers and distributors of motion pictures, Twentieth Century Fox Film (“TCFF”) produces, acquires and distributes motion pictures throughout the world under a variety of arrangements. And (iv) Other, Corporate and Eliminations. The Other, Corporate and Eliminations segment consists primarily of corporate overhead and eliminations. Sky: The Company holds an approximate 39% interest in Sky. Sky’s ordinary shares are listed on the London Stock Exchange under the symbol “SKY”. Sky is the UK’s leading entertainment and communications provider, operating the most comprehensive multichannel, multi-platform pay television service in the UK, Ireland, Germany, Austria and Italy. Endemol Shine Group: The Company and funds managed by Apollo Global Management, LLC (“Apollo”) formed a joint venture in December 2014 to which the Company contributed its interests in Shine Group and cash, comprising an aggregate carrying value of approximately $830 million. The Company and Apollo have an equal ownership interest in the joint venture. Endemol Shine Group, a global multi-platform content provider, has creative operations across all the world’s major markets, with a diverse portfolio, both scripted and non-scripted, coupled with digital, gaming, and distribution operations. Tata Sky: The Company holds an approximate 20% direct interest and an approximate 10% indirect economic interest in Tata Sky Limited which owns and operates a DTH platform in India. – The Company’s revenues increased 4% for fiscal 2017, as compared to fiscal 2016, primarily due to higher affiliate fee, advertising and other revenues partially offset by lower content revenue. The increase in affiliate fee revenue was primarily attributable to higher average rates per subscriber at the domestic channels. The increase in advertising revenue was primarily due to the broadcast of Super Bowl LI in February 2017, higher ratings and pricing at Fox News Channel (“Fox News”) and the broadcast of the Major League Baseball (“MLB”) World Series, which benefited from higher ratings and two additional games. Partially offsetting these increases in advertising revenue were lower entertainment advertising revenue at both FOX and the Company’s television stations due to lower entertainment ratings at FOX as compared to fiscal 2016, which included the final season of American Idol. The increase in other revenues was primarily due to the acquisition of the publishing, travel and certain other businesses (the “NGS Media Business”) in November 2015 from the National Geographic Society (See Note 3 – Acquisitions, Disposals and Other Transactions to the accompanying Consolidated Financial Statements of Twenty-First Century Fox under the heading “National Geographic Partners”). The decrease in content revenue was primarily attributable to lower worldwide theatrical and home entertainment revenues from motion pictures partially offset by higher subscription video-on-demand (“SVOD”) and network and syndication revenues. The 4% revenue increase is net of a decrease of approximately $220 million due to the strengthening of the U.S. dollar against local currencies for fiscal 2017, as compared to fiscal 2016.
Who owns Century 21st Fox? The Murdoch family via their trust and Rupert Murdoch have most of the voting power. The total compensations comprise a base salary, stock awards, and non-equity incentive plans. In 2017, Rupert Murdock earned more than $29 million.